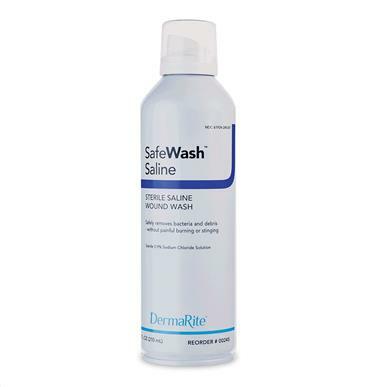 SafeWash is a sterile saline wound wash spray containing 0.9% sodium chloride. Delivers safe irrigation pressure to remove bacteria and debris painlessly. Revolutionary point-and-spray technology sprays even upside down. Preservative free and drug free. Contains no CFC`s.